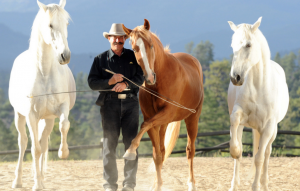 Create the Harmony and Connection you’ve always dreamed of with your horse. “I didn’t want to give up on my horse, or on myself. I wanted answers… that I could apply myself. I didn’t want to send my horse to ‘the’ trainer. I’d seen what he did to horses and it made me cry. Parelli came along at the right time and saved my relationship with my horse! 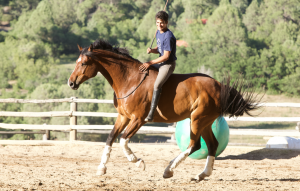 to be really good with horses, maybe competes or has professional goals. Or are you a combination of both? 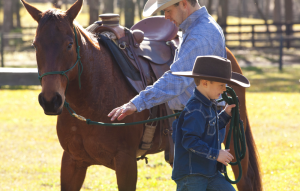 ​We give you the tools to take control of your own Horsemanship Journey. For people who have horses as part of their lifestyle… the passion and dream of owning a horse, having fun, getting together with like-minded people, challenging yourself in a fun way, solving problems yourself and doing cool stuff together with your horse, your friend. For people who are more ambitious than the average horse owner. They want to be good with horses. They want to achieve excellence, or even make a living with horses as a professional instructor or trainer. Most importantly, they want to make a difference. You cannot even imagine the resources available to you by being a member of the Savvy Club! There are over 23 years of information from videos, audios, articles, educational materials, Power Points, seminars, live demonstrations, student lessons . 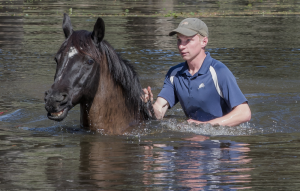 ​Its your personal education program but, more importantly, it is also your connection to Pat, Linda and an incredible community of people just like you – passionate about horses, passionate about doing the right thing by your horse, passionate about making a difference. A place to make lasting connections with others who are looking to help each other, offer support, and who are passionate about making a difference! Search for specific problems you want to solve, as well as watch lessons and demonstrations with Pat and Linda, and their students. It is a rich resource with over 35 years of content! Search official and community events all over the world. Events are where like minded people come together to learn, enjoy, and take part in something extraordinary! Lauren Barwick is pretty well known throughout the Parelli community. In addition to being a Parelli Professional, Lauren is also a medal-winning Paralympian. But that’s just where our story starts. Imagine going to play with your horse and knowing the things you want to do, to fix, to achieve… and actually being able to do that. ​That’s the secret to a happy horse lifestyle – for both you and your horse! The Parelli Savvy Club has all the resources you need to achieve that ultimate relationship with your horse. 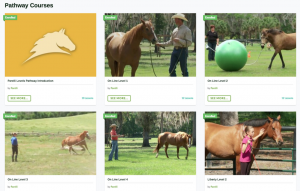 ​for Parelli Savvy Club members!